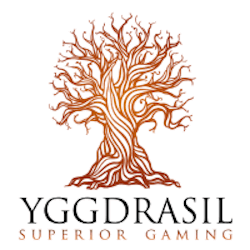 As a company way better known for their slot games, Yggdrasil has decided to expand it’s product offerings at online casinos. They have created a line of Bingo products for operators specifically designed for mobile gaming. The bingo games will be paired with special scaled down Yggdrasil slot games to give mobile players a more comprehensive experience. On top of the mobile functionality, players also get full BOOST and BRAG integration with these Bingo games so you can take full advantage of social media features. Yggdrasil has managed to reinvigorate Bingo gaming by melding features from their casino gaming space with Bingo. CEO Fredrik Elmqvist said they were inspired by the blandness that they see in Bingo gaming from other companies. They felt there was much more potential in Bingo that they were hoping to unlock and believe they have done just that. 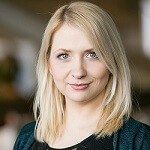 Elmqvist noted that Yggdrasil’s expertise in melding social and casino gaming elements will help them offer a fresh take on online Bingo while still offering increased revenue and a whole new demographic of players that will be keeping CPA low. Concrete details of these games at the moment are still relatively sparse, with Yggdrasil only planning on revealing their titles next year at the annual ICE. An expansion into Bingo hasn’t been Yggdrasil’s only big reveal this week, the developer also announced that they will be entering the competitive Danish gaming market. They have signed a publishing deal with Danske Spil to provide content to them. Currently Yggdrasil titles will be available from the first quarter of 2018. Yggdrasil also secured distribution deals with GVC who will be publishing Yggdrasil games through bwin.dk which means that Yggdrasil will now operate in Denmark through two of its biggest online operators. This will also be the first time that Yggdrasil have been able to expand their BOOST and BRAG social media features in Denmark which will ensure that they get a strong foothold in the country. Since Yggdrasil has not provided concrete timelines to their Bingo library’s availability it is tough to speculate if their Bingo will be live by the time that GVC and Danske Spil will have their Yggdrasil library live. GVC Product Chief Liron Snir stated that Yggdrasil already has a great reputation in Nordic markets and this new deal will help GVC have a more competitive edge in the tough Danish online casino space.